A superb hook from Fulling Mill. Come in zip lock bags of 25, 50 or 100. Straight eyed, wide gape, 1.5x long. 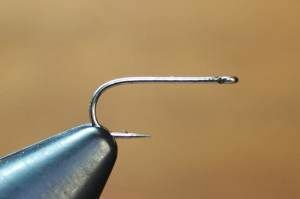 The large eye makes this a good bead fly hook. Sizes 8 to 16.